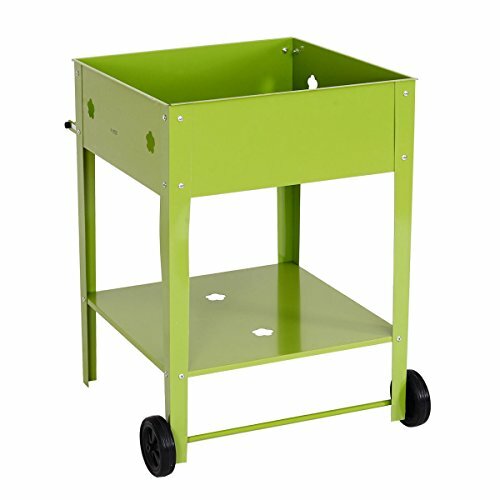 Elevated Raised Tall Garden Vegetable Plant Bed Box Planter Stand With Shelf 31.5"
• Diameter of wheels: 4.9"
Solid galvanized steel construction, durable and rust resistance. If you have any questions about this product by Caraya, contact us by completing and submitting the form below. If you are looking for a specif part number, please include it with your message. Frame It All One Inch Series Composite Octagon Sandbox Kit, 10' x 10' x 11"